“No, there’s not a really talented bird singing around the venue, you’re just hearing that awesome flutist I hired!” Your guests might need this instruction when they hear the lovely, high, and pure sounds of your talented flautist. Flute players sound great on their own or accompanying an ensemble, and they're very diverse with the ability to change their sound for many different genres of music. 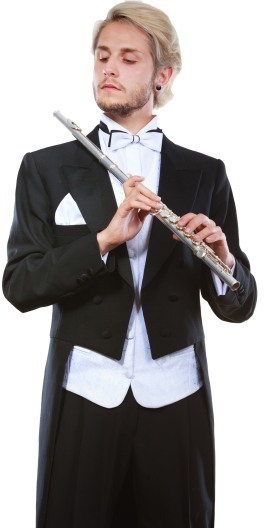 So whether you want a flute player to create a beautiful sound to echo through the church at your wedding or provide cheerful background music for the crowd at your next event, these flute players are ready to impress your guests no matter what the occasion. Search for Flute Players in Bessemer, Alabama above. Please note that these Flute Players may also travel to Brighton, Midfield, Hueytown, Dolomite, Shannon, Fairfield, Pleasant Grove, Concord, Hoover, Homewood, Vestavia Hills, Helena, Docena, Pelham, Mulga, Forestdale, McCalla, Adamsville, Adger, Maylene, Siluria, Graysville, Brookside, Fultondale, Watson, Saginaw, Cardiff, Green Pond, Abernant, and Irondale.